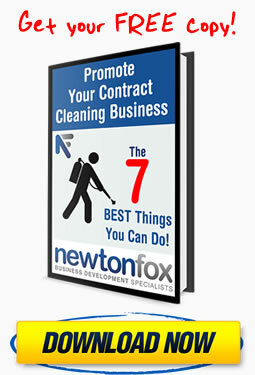 Newton Fox have been helping contract cleaning companies up and down the country acquire new customers for the past seven years and have won literally thousands of quality appointments that have led onto £millions in new contracts. Not only that but we also helped a great many business owners and Sales Managers alike to understand how best to promote their cleaning businesses via one to one and group training and mentoring. We haven’t got all the answers, of course, but we really do know a thing or two about how best to promote your cleaning business and we’ve lots of very happy clients to show for it. And much, much more. What’s more, all this useful information is absolutely free in our new book ‘The Seven Best Things You Can Do To Promote Your Cleaning Business‘ – yes, free. 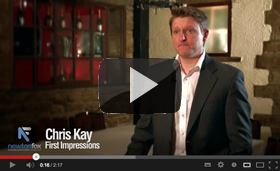 No catch, no trap door, no smoke and no mirrors – guaranteed free!! Have you ever slaved over a tender document for weeks on end only to be told that you have been unsuccessful? Or how about being told that there is a ‘No Names Policy’ in place or ‘Sorry, we don’t take sales calls’. Wouldn’t it be nice to know how to deal with these things once and for all? Direct sales are making a real come back right now as more and more businesses realise that leaflet drops, websites, email and mailers alone are simply not strong enough to cut the mustard. This isn’t our opinion, but the results of extensive research conducted throughout Europe and the US and results of good direct sales activity speak for themselves. 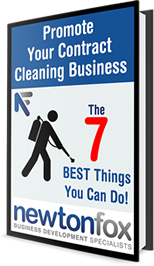 To get started simply click here to grab your free copy of our book: ‘The Seven Best Things You Can Do To Promote Your Cleaning Business‘. And much, much more, absolutely free, in our new book. Simply enter your name and email address to get started.